If you have been following MYSUN closely, we have often shared why going solar for a residential consumer is both economically viable and technically feasible. In fact, we have taken several cases of cities like Delhi, Gurgaon etc to explain case by case, how going solar does not just have a positive impact on the environment but also help you start saving on your electricity bill and prove to be a fantastic investment. Here is everything a residential solar rooftop user should know about O&M. Why should you go for O&M for your solar plant in the first place? While you know all about what solar brings with it, what about life after you have installed the solar plant on your rooftop. As you are aware, to function to their optimum generation capacity, solar plants require a basic minimum regular maintenance. This is no more than what you would do for your car or say even your wardrobe, where every few days, you would take some time to organize and clean things. 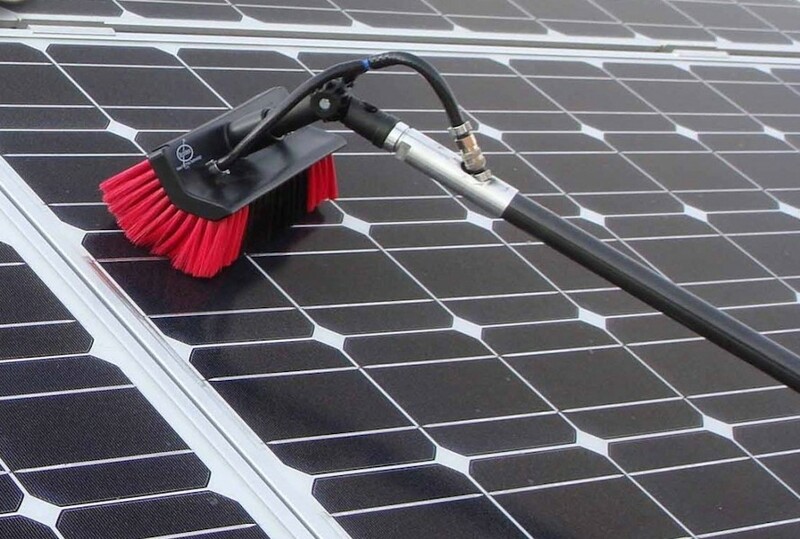 To ensure a long life and good generation, you should look to hire an O&M agency who at a nominal charge will do the maintenance of your solar plant and keep it shining. A well credentialed solar O&M partner can go a long way in helping you get high returns from your plant. A seasoned pro would be able to sense if there is something wrong with the system and raise the flag. While an individual consumer may be able to do basic cleaning himself, unless he has a sound technical understanding, preventive maintenance is not something he would be able to offer. When you go ahead and choose MYSUN as your preferred partners for your rooftop solar plant, you are offered a range of very reliable and lucrative packages for O&M. As a team of solar experts and your installers, it is always better advised to have just one team to look after the plant. Just like you would not purchase a new computer without an extended warranty today, buying an O&M package is very similar. It ensures long life of your solar system and is totally worth the investment. Look at it this way, money spent in maintenance will automatically be paid back with higher generation and therefore higher savings. For a wise man, money spent in this case, is money earned. What does your O&M Partner do? 1) He monitors and reports the generation: While most of the inverters today are capable of showing you the generation of your system, an O&M partner deciphers whether the generation happening is optimum or not. Some O&M partners also provide remote monitoring, using which the partner, sitting in his office can check the logs daily and give you the numbers. This is why having an O&M partner who is an expert in the field of solar is so crucial. He will be able to observe and make sense out of the generation data that an untrained eye would not be able to. Most of the flags that something is wrong can be raised with regular monitoring and periodic reporting. 2) He will perform preventive maintenance: Since your O&M partner will be keeping a keen eye on the generation of the system, he will be able to alerted to a problem perhaps, even before it has come to fore. A classic case of a stick in time, saves nine. As mentioned above, regular cleaning of the panels as well as equipment checks are also done and are a part of preventive maintenance. Frequency of cleaning depends on one O&M partner to another, but generally, it is about two times a year. 3) Corrective Maintenance: In case something is not correct, the O&M team should be technically sound to fix it. In case there is a problem, a proper diagnosis of the same will be done and a replacement either would be made or ordered from the installer to ensure the system continues to operate at optimum. Generally, with the improving technology, corrective maintenance is not often required, but just in case if there is for example a wire that has become loose or there is a panel that is not performing as well as it should, corrective maintenance would ensure that your generation is not hampered in the long run. 1) An ideal partner should have enough experience in handling O&M of systems of the size that you are installing. If possible, you should look for the customer feedback on the partner and speak to few of the clients to get a better idea. 2) While O&M is not in itself a very technical task, a partner with a solid background in solar is always preferred. 3) Always choose a partner who is willing to provide a long term service and a long term contract. Looking for a new partner every year can be a big hassle. 4) As mentioned before, if your installer itself provides O&M service it is best to go with them as they would have full knowledge and understanding of the system. In the case of a repair requirement, the turnaround time here would be significantly faster. 5) It would be a bonus if your O&M partner already has a project or two in your neighborhood and regularly visits there. While the above points are good to have, they are by no means a deal breaker. The bottom line is that you should sign up with an O&M partner from day 1 and should treat it as an investment that the system will pay back rather than as an expense. If you have any queries on O&M or on selecting your O&M partner given you already are a residential solar rooftop owner, you can get in touch with the MYSUN team of solar experts using our contact us page.